I have been using Skype for several years at work and if find it very convenient especially when we are doing update calls with my boss that requires video call. Aside from high-quality cute emojis, I also love its user interface that makes easy for a new user to navigate. We can also create group chats that really helped us at work to finish out tasks faster and efficient when it comes to communication and giving updates. I like its quality of sound when we use it for calls and conference. You can also download and send files/images which are highly needed at work. In my opinion, Skype really works best when you have a strong internet connection. Sometimes when our network gets interrupted, it's really hard to retrieve the conversations that I need. System audio problem is also the common issue I encounter. Skype is the best for office and personal use. Flexible and easy to use. Time efficient and effective communication within and outside the organization. It also helps in building a strong relationship with your co-workers. 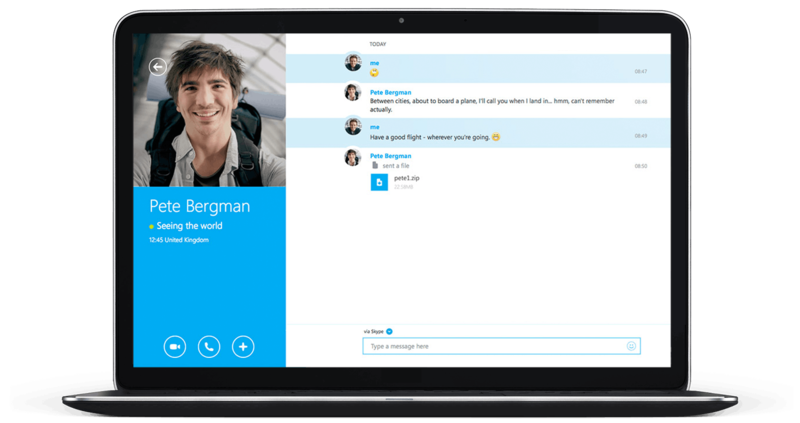 "Effective For Conversations, but not for work"
I love how Skype is accessible on almost any platform. It's fairly easy to log in and use. It's fantastic for having conversations that span countries, continents, and time zones. Skype opens very, very slowly on my PC. In addition, while there is great conversation capabilities, there are not a lot of collaboration tools. If you want to have a talk with someone, it's great! but if you are working on a group project, there are better tools out there. If you are looking for a platform that will allow you to have international (or even just long-distance) conversations, this is it. It's very accessible from multiple forms of technology. However, if you need a tool that requires more in-depth collaboration (such as writing a proposal, drawing diagrams, sharing screens, etc) there are better tools out there. I have used Skype to conference with associates in China. It's convenient that is software accessible at both ends, and it allows me to have professional conversations at 3 in the morning.
" Dynamic and Effective Communicator"
The best alternative I found for virtual communication, I was able to organize the meetings of my company, and facilitate the internal communication between the employees. I get in touch with my friends, we exchange documents, by sending attachments in the Software, I have had an excellent experience with Skype. In addition to desktop software, there is also the Smartphone application, which is very well thought out, lightweight and with a user-friendly interface, which makes it easy when you are not in front of a computer, but you need to communicate with someone or even send a file to someone. The response time of the support could be better, the price of the packages should be more affordable. Bandwidth usage could be reduced, on smartphones, it even consumes mobile data quickly. Bandwidth usage could be reduced, on smartphones, it even consumes mobile data quickly. 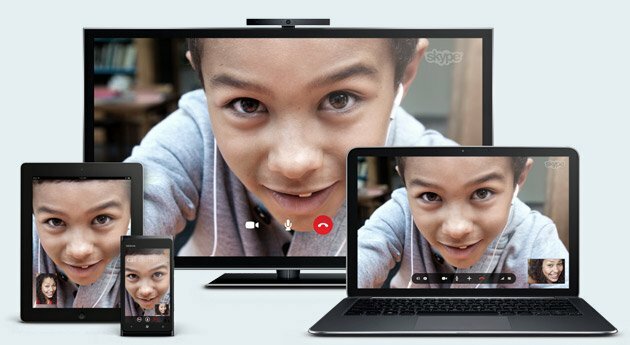 Skype has several functions that can make it easier for people and corporations to see each other. Start planning your schedule and meetings integrating with Skype so you have more control over your tasks and you will not waste time traveling to face-to-face meetings. Skype helped me get closer to my customers, made communication easier. It has brought benefits such as organizing a meeting with people who are in other cities. "Tolles Tool für die Unterstützung per Chat oder Audio"
Was mir an Skype am besten gefallen hat, ist die einfache Konfiguration der Anwendung nach der Installation. Standardmäßig sind die meisten erforderlichen Funktionen außer der Anruffunktion konfiguriert, da für die Aktivierung dieser Anrufe eine Telefonnummer über die Skype-Anwendung und abgefragt werden muss Laden Sie das Guthaben auf, falls Sie einen Anruf tätigen möchten. Darüber hinaus schien die Benutzeroberfläche sehr einfach und intuitiv zu sein, vor allem im Chat, da die Nachrichten jeder Person sehr gut unterschieden werden können, da jede vom Benutzer ausgegebene Phrase in einer Art Block mit Farben als Hintergrund für die Nachricht eingeschlossen wird. Ich fand auch die mobile Skype-Anwendung hilfreich, die dieselben Funktionen wie die Desktop-Version hat. Hier können wir jedoch unser eigenes Telefon verwenden, um Anrufe oder Videos ohne Headset zu tätigen. Manchmal ist der Ton gestört und es sind nervige Geräusche zu hören, die zwar nicht unangenehm die Fortsetzung des Gesprächs verhindern, aber zum Glück scheinen sie vorübergehende Störungen zu sein, die nur wenige Sekunden andauern und später können Sie problemlos mit dem Gespräch fortfahren. Skype ist ein Tool, das nicht nur Anrufe und Videos bietet, sondern auch eine sehr stabile Chat-Anwendung, mit der Sie kostenlos kommunizieren können. Daher empfehle ich Ihnen, diesen Teil der Anwendung auszuprobieren und die Anrufe nur dann zu verwenden, wenn dies unbedingt erforderlich ist . Mit Skype kann ich zu jeder Tageszeit und jederzeit über den Chat kommunizieren, auch wenn die andere Person zu diesem Zeitpunkt getrennt ist, weil die Nachrichten warten, bis der andere sie lesen kann und uns antwortet. "Skype is a gold chest is the best"
I know this program very well. And I can give you my guarantee vote that Skype is an excellent program that can solve your problems at any time and anywhere you are. It has plans that adapt to you and your service is very good. That's why I recommend Skype. "Skype is a great software that allows you to hold conversations and video calls anywhere"
"Communicate directly with your colleagues and send files very easily"
Skype for me is the leading call software, it has a very clean and easy-to-use interface in which it allows me to find my colleagues and friends easily, your chat is very good and it has excellent emoticons, in terms of calls quality is excellent, like the video calls and teleconferences, besides that it allows me to create group rooms of many members. The costs of international calls are very high, in addition there are always unwanted contacts that bother a little, another disadvantage for me is that I need to have a Microsoft account to be able to log in. It is a communication tool that you should have in all work, I recommend it since it is easy to use and has excellent features that will not disappoint you. Skype keeps me in touch with my colleagues and friends, I can use it from my computer or from any compatible mobile device, and it is very helpful to be able to receive files from my colleagues quickly and without needing to open my email. "It's skype is perfect for me"
"Nothing better to keep in touch with your friends, family and work." I love Skype's interface, it's simple, fast and has a great design, plus the options menu is very easy to operate, making a call from Skype is nothing complicated and I feel that makes my life easier and saves me time. The service they provide is of excellent quality, the video calls have a high resolution in video, and the audio is completely optimal, which does not happen with many applications in its category, because the audio is almost never heard in tune with the image of the video, however with Skype things are completely different, has no such drawbacks at all. Another thing I love about Skype is that its cost is very low, really is a lot of quality for low cost and that allows me to reduce costs. The mobile application is another excellent attribute of Skype and is that it is very good, I can communicate from anywhere, also it is necessary to emphasize that the application is not very heavy, so I am calm as to the space it occupies in my cell phone. The application is constantly updated, so improvements are always implemented to make the user experience the best. There's nothing I don't like about Skype, I feel it's the best application to make video calls, it's reliable, secure and fast. With its clear and smooth interface it's a journey using this app. Skype helps me in many ways, when I don't go to work I can communicate with my co-workers and stay on top of what's going on. Recently my best friend went abroad to study and with Skype I can always keep her around. Also, Skype offers a very comfortable and economical service. 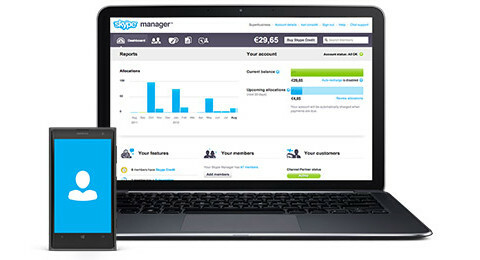 - Multiplataforma, podemos utilizar skype con ordenadores, tabletas, smartphones, video consolas. - Establecer comunicación entre usuarios Skype es gratuito y eficiente. - Descargar, instalar y utilizar el software por supuesto también es gratuito. - Skype tiene una interfaz multilenguaje muy intuitiva. - Nuestras comunicaciones están a salvo al utilizar avanzados sistemas de encriptación como AES de 256 bits. - Nos permite comunicarnos mediante chat, o videoconferencias. - Podemos compartir archivos, aunque no editarlos ni crear repositorios compartidos de datos. - - Permite compartir video de nuestro escritorio, para ayudar en remoto a otros usuarios. - Hay que pagar para realizar llamados de voz IP a otros teléfonos, da igual que sean fijos o móviles. - Hay que tener una buena conexión y ancho de banda de internet para no sufrir ruidos. - Hay que tener un buen microfono y auriculares para no enturbiar la experiencia de comunicación. - Consume más recursos de lo que parecen lógicos, como memoria ram y procesador. Muy recomendable para hacer llamdas de voz ip o por videoconferencia. Además entre usuarios Skype es gratis. Se utiliza Skype para realizar llamadas y videoconferencias entre varios miembros del equipo corporativo, así como para realizar clases en remoto en nuestros cursos de formación a distancia. I can contact without any difficulties our partners from different countries, as well as remote working employees of the company. It is convenient not only to communicate but also to exchange files. Being unable to change your skype name is unfortunate. If you sign up with your phone number you are assigned a name that is often a jumble of letters and numbers. While they can find you via your name or number, I find this just looks unprofessional. Overall, it is a decent product to use if you have nothing else to use. It is also cross-platform so that does also help when you have Mac, Apple, iOS, and Android devices. The nice thing about Skype is that it is a Microsoft Product. This allows for ease of talking to people outside the company, one of the best things about this software is when you are skyping someone outside your company, for example, an interview, you can just send them a link and it is easy for them to download the software and use it. "It has the best and most economical calling plans"
Skype is excellent with me I develop better in my work area and in my daily vidia since with Skype I can make video calls in HD and with great sound quality I use it a lot to chat with my friends who are in other states of the city and with skype we connect all in a simple way and with a good monthly call rate and I also use it for my job we have a working group where we all keep in perfect communication it's great. 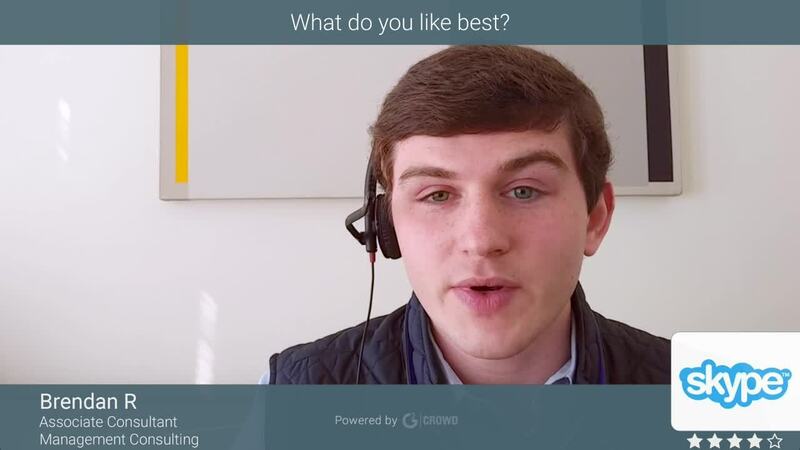 "Skype is the best tool for remote conversations"
"Very useful in my day"
An effective way to have cross-functional meetingsSoftware is easy to use and allows very efficient for collaborating with colleagues across the globe. You don't need the use of a phone to speak, which is great for meetings. Trying to connect to it from outside a company environment I have had incredibly torrid experiences trying to connect, download the plugin and then again not being able to connect, trying to dial in via a phone line. Enjoyed and will never forget about this app really good one. Since 2014 am using this app and never found any problem in this app even I have to attend my interview using this one. This is really good for video and audio calls. My experience with Skype is best described as best to be avoided. Whereas I have encountered little problems with Skype of the many years of usage, there isn't anything I like about Skype. Particularly, when connecting to it from outside a company environment. It is clunky and there are much better alternatives these days.